When I was in graduate school at Grand Valley State University, I wrote but never published a paper on distributed teams. The body of the paper was shorter than the title. At the time, the best advice of the software literature said that communication costs were expensive. That made the handoff between roles expensive, and mis-understandings and “backwash” when problems escape to the next role much more expensive. Recognizing that, we hoped to improve delivery by “getting it right”, so defects could not escape to the step to follow. For example, we talked about creating a specification that was the 3 C’s and U: Consistent, Complete, Correct, and Unambiguous. Around this time, a group of rebels in Utah created the Agile Manifesto, which made the claim that responding to change is more valuable than following a plan. Eighteen years later, I’ve come to believe there is a better way to develop software, and applying it to distributed teams is easier than many people think. Back in the 1990’s, communication was expensive. Internet was dial-up; software builds could take hours. Continuous Integration was not popular, so builds generally consisted of a human being running a batch script. In some cases it might be a person doing a manual checkout from version control, log into the IDE, press F5, wait, then copy the file to a network drive. Windows software might need to be physically burned to a CD and installed in order to do end-to-end customer-facing testing. Screen-sharing programs were generally insecure and took too much bandwidth. People communicated by emailing word documents. Today we have better tools. The cost of communication is cheaper. Which is my first piece of advice: Make communication cheaper and do more of it. Instead of communicating less often and ensuring documents are harder to mis-understand communicate more often. Instead of handing off, collaborate to build shared understanding. 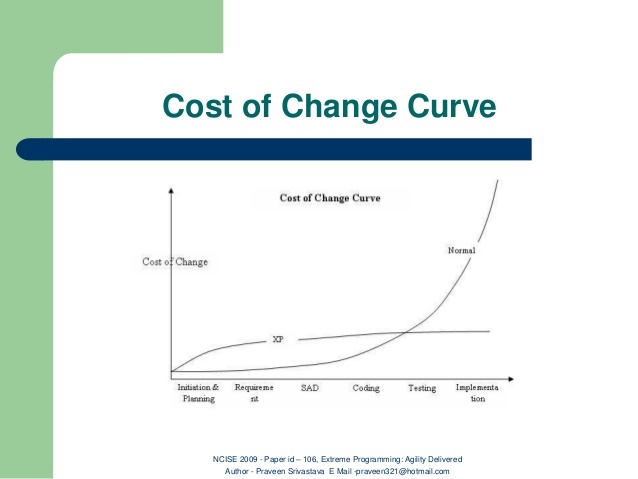 This is similar to what Extreme Programming did to flatten the cost of change curve. Instead of “getting it right hand handing it off”, work together to figure out what it is and how each of you will contribute. We get that when teams are all in the same room, but somehow, when the teams are distributed, organizations tend to fall back into the cultural default. When I worked at Socialtext the entire technical staff worked from-home. Really anywhere with internet and power. Instead of a central team “in the office”, we all wore headphones, catted on IRC, shared screens, and used internet phones to talk all the time. At one point I realized my nearest coworker was a thousand miles away but I knew him better than my next door neighbor. Instead of Distributed Teams, what we were doing was remote work. Those are similar terms with a key distinction. Distributed teams typically means either “we grew by acquisition and have a bunch of teams all over the place” or “we think (major_geographic_region) is cheaper so we’ll have (specific_type_of_work) done over there”, until the delivery process looks like a patchwork quilt. Remote work means one team, where you use tools to work from anywhere. 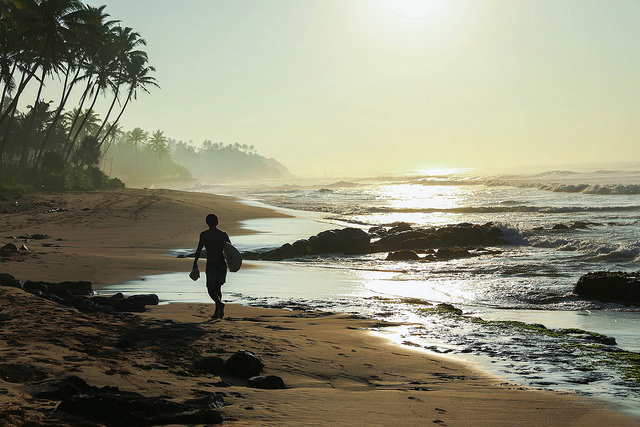 Redefine what your organization calls distributed teams; make it remote work. Then figure out how to lower the cost of communication, and talk all the time. That strange feeling you have might just be actual teamwork. I know right? It’s pretty great.